In indie gamedev since 2010. One day I'll make a strategy game better than Civilization! This is for being an awesome sport! This year we, for the second time, organized Global Game Jam Ukraine. The theme was really cool – “WAVES”. At night between Saturday and Sunday I managed to cut several hours from my sleep and made a prototype which shows my own theme interpretation. Within the post-jam week I completed the game and now I’m ready to release it. You’ll see a pattern on the screen. As you tap, the wave is launched. It must fit the required pattern. To win you’ll need great precision and perfect timing. You are welcome to get Emitter: launch the waves from PlayMarket, play it and share your suggestions. In this version you’ll be able to expand, explore, exploit and fight with enemies and rebels using your diplomatic power. This Saturday I can share an animated gif of my own turn-base strategy gameplay. I was making it instead of LD36 participation. And continue adding new features working in Game Jam-mode (1-2 days of intense coding – then a pause for regular routine work). Here you see how I start, improve terrain, explore territory. Then I found a colony. I begin spending my soft-power points to keep the colony controlled and avoid it declaring independence. Later you can notice how the colony’s border colour is changed and its own flag appears on the city icon. t country, it gains an ability to found own colonies. I need to adjust gameplay coefficients to balanse the process of empire growth/collapse. Within next week I’ll do this, will also integrate convenient controls and informers to make the game ready for the pre-alpha test. So, I’m going to miss the current Ludum Dare, but use it as a boost for my own project’s developmet. Hello! This time I was a bit late for judging, as right after the Ludum Dare 35 had been completed I was the organizer of NASA Space Apps Challenge hackathon. 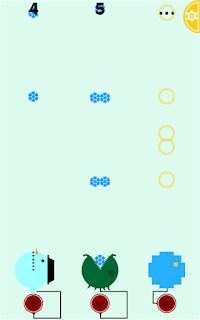 Besides, I released my Global Game Jam entry, Cloudy Shaman mobile game. It was difficult, I almost gave up, but 15 hours before the submission I elaborated an idea which I would like. Like last year, as soon as I restore my mana, I’m going to make video reviews (the job I regularly do at FGL.com). I’ll start from thos cool guys who follw me on Twitter and who share their suggestions on my own game. It’s a good idea to post own votings here. Here’re mine. I’m going to make a flash game again (Action Script programming language). Flash games can be very easily ported to mobile with the help of Adobe Air and Starling library. Also I have a question: is it possible to use some of the modules, like sound player class, screens change class from my LD33 entry, as it was submitted with full source code? Not a big deal to type these classes again from scratch, but I want to clarify this rule. Hello! Much has happened since my last LD. As I mentioned before, I din’t participate in the competition in LD 34, because I already had uncompleted games for “Grow” and for “2 buttons” themes. So, I used LD34 weekend to complete them and submit to the PlayMarket. Also I was so inspired by the idea of Game Jams, that became the organizer of the very first Global Game Jam in Ukraine. With the help of higher educational establishments in my city, Kirovograd, we had a great event: 78 participants, 14 games and 1k twitch views. One of the games created during GGJ was mine (I managed to get 6 hours of work for the cost of sleepless night). In March I presented my LD33 game, Something Deep, at the first International Conference on Game Jams, Hackathons and Game Creation Events in Berkeley and got “Best in Showcase” award! On the 12th of April we’ll be holding a local IT-conference and I’ll be speaking on my gamedev experience and give advice to the participants. I hope more developers from my city will Ludum Dare this time. I definitely will. Also I’ll surely find the time to release my “Something Deep” game from LD33. Hello! Congratulations on LD34 projects completion! Do you remember once I posted that two games which I was going to complete soon appeared to fit both LD themes? So, I worked in the LD spirit to give a final push to these projects and release them. I didn’t submit them for the actual contest, because I had the existing codebase before the contest was announced, but, please, check them on Google Play and share your comments. Hello! As #LD33 in august gave me a great boost in productivity, I was going to spend the 48 hours of #LD34 in a special way. I woke up at 4am local time intending to complete the game I am currently developing and then take an engine I made back in 2010 and make a full mobile game of it. So, the idea was to use the LD atmosphere to reduce the number of projects in my “postponed” folder. But you know what? The first game uses Two Buttons during the most of playing time. And the engine I developed was first used for Growing structures on the screen. So, the world is telling me that I’m moving in the correct direction! Sure, I won’t submit my games to Compo but I’ll keep you updated via posts and twitter. The first thing I’ve checked today morning were LD ratings. I’m so glad to see that my game got into the Top-100 Innovation rating (as #100)! I’ll definitely follow valuable feedback I’ve got from other LD participants and continue my work. I hope my video reviews were useful for the game developers too. And now I’d like to use the occasion and invite you to the FGL game Jam, which will take place 25th-28th Sep. You’ll have 72 hours to make a mobile game (.apk or .ipa). FGL Game Jam 32 thread – you are welcome! Now I have the exact equality between votes received and given! So, all those who commented on my game received a video review. Also (as some of the votes were without any comments), I reviewed games which I found in my Twitter feed. If I receive more comments within the following 31 hours I’ll do my best to screencast more videos. For me as a developer participating in LD was a great experience, proving, how much I can do within a limited amount of time. Also, as I’m a game reviewer at FGL, I want to say that all LD participants are welcome to use free FGL services, like Enhance, which will help you integrate ads into the mobile game without any coding, or Marketplace where you’ll be able to find a publisher for your web or mobile game. 25 queries executed in 0.113 seconds.